This guide will help you to locate historical maps, held at The National Archives, of towns, cities, regions and countries around the world. There is also some advice on how to find old plans of buildings, fortifications, harbours, and countless other installations, many in English and British colonies but others elsewhere around the globe. For advice on finding maps and other documents specific to borders, boundaries and boundary commissions, see our guide to records of international borders. High resolution copies of the maps and plans pictured in this guide are available to purchase, along with many hundreds of others, through our Image Library. Though maps were usually placed in the custody of departmental libraries, no section, division or unit within the departments listed above was created solely for the care of maps and they were acquired on something of an ad hoc basis. Many maps were gathered by diplomats when abroad or by colonial governors and civil servants. Often they accompanied reports and despatches. A number were commissioned or purchased from map sellers in the United Kingdom, sometimes to assist comprehension of diplomatic and territorial relations abroad. We don’t hold the records of the India Office and Burma Office – these are at the British Library. Many of the maps collected by the Foreign Office after 1940 have been transferred to the Royal Geographical Society. 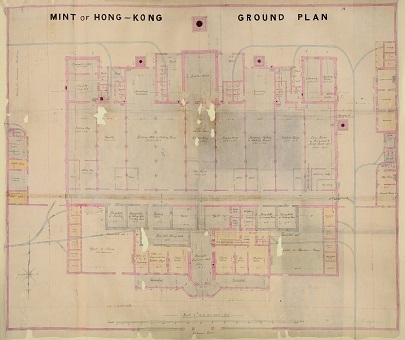 A ground plan of the Hong Kong Mint from 1864 (catalogue reference MR 1/895/2-3). This comes from a Colonial Office collection. There are short descriptions of many maps and plans in our online catalogue. You can search for these using keywords and dates. Each description is accompanied by a document reference and details of how you can view the map or plan. Alternatively, try a broad search first and narrow your search results following the search by using the filter options. 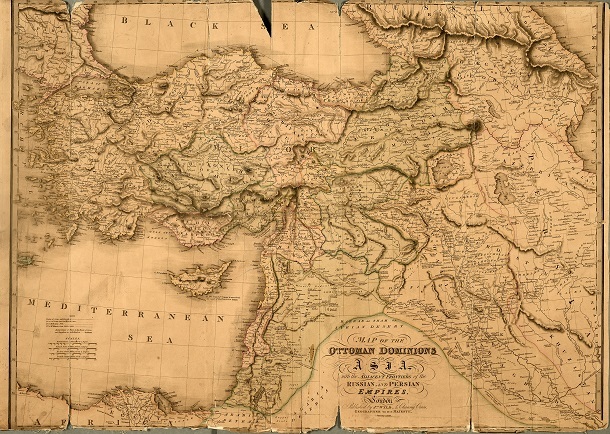 A map of the ‘Ottoman Dominions in Asia’ from 1828 (catalogue reference FO 925/2841). This map is from FO 925, one of the major collections of overseas maps held at The National Archives (see section 4). Some maps and plans are held within larger files or volumes whose catalogue descriptions contain no mention of them. To find these you will need to visit us to search speculatively among records relating to a specific subject, country or territory. For example, given that treaties between nations can relate to territory, the correspondence and papers relating to treaties sometimes include maps used for illustrative purposes. Searching the catalogue with the name of a country or territory and the word ‘treaty’ could, therefore, lead to documents which contain maps. 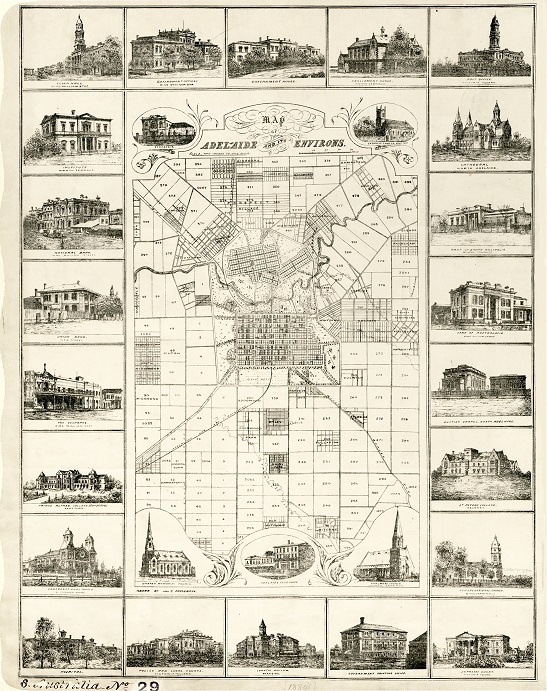 There are several published catalogues of maps held at The National Archives. Each catalogue is arranged by region and country and contains lists of maps accompanied by short descriptions and catalogue references. All of these catalogues are available in The National Archives Library. In addition, there is a card index to the ‘Supplementary Map Catalogue’ in the reading rooms at The National Archives. It comprises catalogue references for maps and plans held outside of the major collections covered in section 4. It is arranged alphabetically by country, continent and map maker. 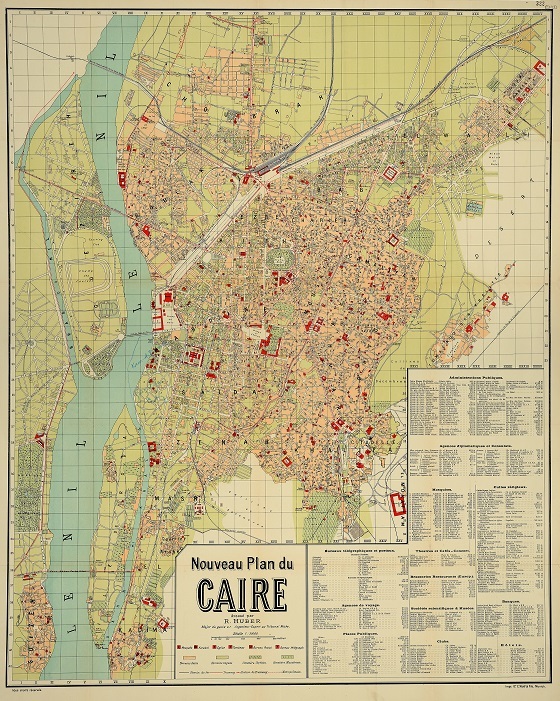 A city plan of Cairo from 1914 (catalogue reference MFQ 1/1379/59). This is a Foreign Office map, extracted from series FO 371 to be stored in series MFQ 1. The vast quantity of maps held at The National Archives, numbering over a million, is scattered throughout the collection and is not restricted to the government departments listed in section 2. However, there have been some attempts, both by those government departments and by The National Archives itself, to gather together maps by theme, or sometimes format, and create coherent map series and departments. The Public Record Office, the predecessor of The National Archives, created several dozen record departments during the 20th century in which were accumulated maps, plans and drawings extracted from the records of other departments following their transfer to the archives. This was done primarily as a preservation measure, usually for maps, plans and diagrams which exceeded the size of the document of which they formed a part. In the table below, they are the series whose references begin with an ‘M’. 1700-1944 FO 925 Click on the series reference and search by place. c1590-c1888 SP 112 Click on the series reference and search by place or browse by reference for a better sense of the regions described (the first 65 pieces have been transferred to other series so browse from piece 66). Colonial Office maps and plans Series I 1595-1927 CO 700 Click on the series reference and search by place, or browse by reference for a better sense of the regions described, including some descriptions in other languages, such as ‘Atlas des Colonies Francaises’ and ‘Deeutscher Kolonial-Atlas’. Colonial Office maps and plans Series II 1779-1947 CO 1047 Click on the series reference and search by name of colony, continent or by region (regions include Aden and Arabia; East Africa; South Africa; West Africa and Western Europe). 1897-1984 but predominantly post-1940 CO 1054 Click on the series reference and search by name of country, continent or region (regions include Middle East; Indian Sub-Continent, Pacific, Central America and West Indies). There are maps of a number of Asian, African, South American and European countries and not just British colonies or ex-colonies. Click on the series references and search for catalogue descriptions which include not just the name of the place depicted on the map but details of the original document from which the map was extracted. For example, the ‘Map of the Hedjas and the route of the [Egyptian] Army to Assir’ listed for MPK 1/36 includes the detail ‘enclosure to Col Campbell’s despatch of 8 November 1836’. You can also browse either series: browse MPK 1; browse MPKK 1. Click on the series references and search for catalogue descriptions which include not just the name of the place depicted on the map but details of the original document from which the map was extracted. You can also browse either series: browse MPG 1; browse MPGG 1. Click on the series references and search for catalogue descriptions by the name of the place depicted on the map. You can also browse either series: browse MR 1; browse MFQ 1. There is nothing from overseas before 1600. Click on the series references and search for catalogue descriptions by the name of the place depicted on the map. You can also browse either series: browse MF 1; browse MRQ 1. There is nothing from outside of Britain and Ireland before 1775. Click on the series references and search for catalogue descriptions by the name of the place depicted on the map. You can also browse either series: browse MPI 1; browse MPII 1. 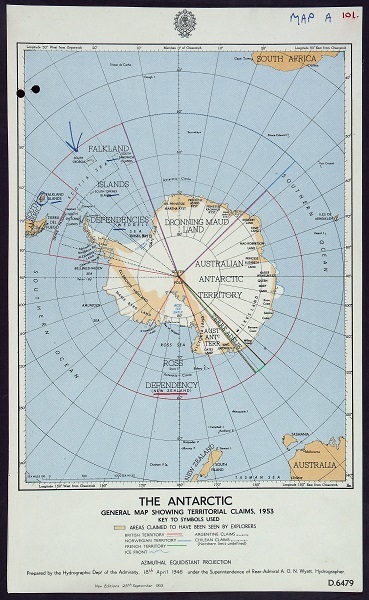 A Dominions Office map showing territorial claims on the Antarctic in 1953 (catalogue reference DO 35/6984). For a more detailed breakdown of the territories see the administrative background of the Dominions Office. Before 1925 and since 1907, administration of the dominions had been undertaken by the Dominions Division of the Colonial Office. General correspondence of both the Dominions Office and Commonwealth Relations Office 1915-1971 DO 35 Click on the series reference and search by name of country, continent or region and the word ‘map’. Documents relating to treaties and agreements with various Commonwealth countries 1856-1965 DO 118 Only some of the documents in this series contain maps but whether a map is included with a file is not always noted in the catalogue. Searching is therefore largely speculative and inclusion of the word ‘map’ in your search does not provide definitive results. Click on the series reference and search by name of country, continent or region – it will only be once the file is in front of you that you will know whether or not it contains maps. Correspondence of the High Commissioners of southern African states 1843-1965 DO 119 Only some of the documents in this series contain maps but whether a map is included with a file is not always noted in the catalogue. Searching is therefore largely speculative and inclusion of the word ‘map’ in your search does not provide definitive results. Click on the series reference and search by name of country, continent or region – it will only be once the file is in front of you that you will know whether or not it contains maps. 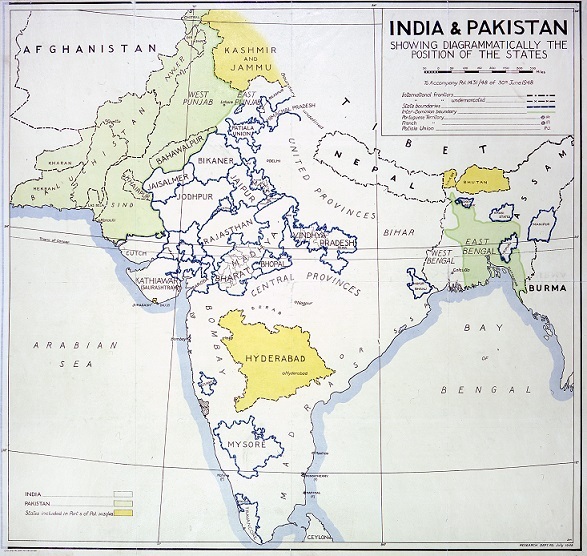 A 1948 map of India and Pakistan used by the Foreign Office (catalogue reference MFQ 1/1145). As is the case with large numbers of our maps, this map has been extracted from a Foreign Office series (in this case, FO 371) to be held with other maps and plans stored together. The India Office was established in 1858. Before then British administration in India had been undertaken by the East India Company and the Commissioners for the Affairs of India. Records, including maps, of the India Office and the East India Company are held at the British Library (though at The National Archives there are a few maps used by the India Office which were inherited by successor departments in CO 1047 and CO 1054). In 1937 responsibility for Burma passed to the Burma Office. 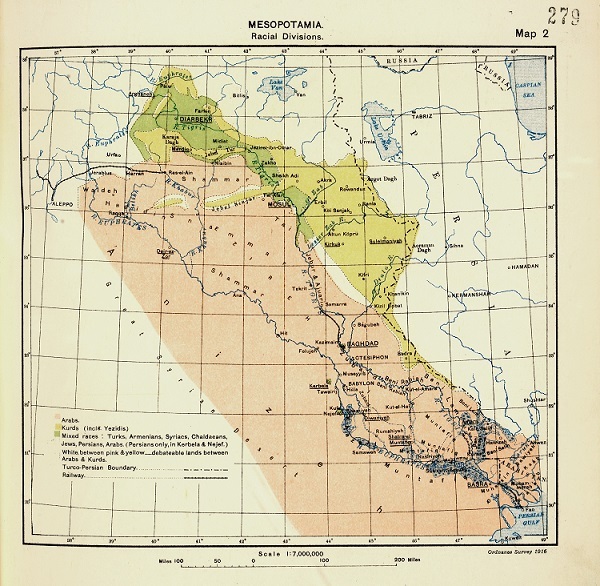 Maps and other records of the Burma Office are also held within the India Office collection at the British Library. Burma did not join the Commonwealth when it attained independence in 1948 and responsibility for relations with Burma consequently passed to the Foreign Office. Responsibility for relations with India and Pakistan passed to the Commonwealth Relations Office on their independence in 1947. The new department was formed that year by the merger of the Dominions Office and the India Office. A map employed at the Paris Peace Conference in 1919, showing the ‘racial divisions’ in Mesopotamia (catalogue reference FO 608/96). Search in FO 373 and FO 608 for maps produced during the Peace Conference following the First World War. SP 46 contains a small collection, numbering ten or fewer, of maps and plans of the time of Elizabeth I. They are mostly plans of towns and harbours. Maps and plans collected by Sir Joseph Williamson, Keeper of the State Papers from 1661 to 1702, including maps of America and Europe and plans of forts, are in SP 9. The following books are available in The National Archives’ Library at Kew. They may also be available to buy from The National Archives’ Bookshop.